Does Your Dentist Conjure Up Cavities in Davidson? 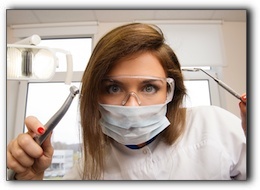 Home » Blog » Does Your Dentist Conjure Up Cavities in Davidson? Cavities in Davidson can be filled, but it is better to prevent cavities in the first place. If your dentist seems to conjure up cavities at every visit, then it’s up to you to break the cycle. But we are here to help you. Let’s work together. How can you lift the cavity curse? Schedule a preventative dental consultation and examination at Dennis J Coleman DDS – Family & Cosmetic Dentistry by calling 704-765-9516. You will be served by several members of our friendly team. One of our experienced dental hygienists will give your teeth and gums the best cleaning they have ever received. Then our professional team will review proper oral hygiene and discuss ways to incorporate these critical habits into your lifestyle. Dennis Coleman DDS will perform a thorough examination and discuss your dental conditions and goals. We welcome questions about brushing, flossing, diet, medical issues, and lifestyle choices. These are all factors that affect your dental health. Here at Dennis J Coleman DDS – Family & Cosmetic Dentistry, as much as we love to see our patients, we would prefer they all enjoyed healthy smiles and only had to visit a couple times a year for cleanings and checkups. Use preventative dental visits to improve your oral care techniques and break the cycle of cavities in Davidson. Dennis Coleman DDS is an experienced dental professional who promotes preventative dentistry. Dennis J Coleman DDS – Family & Cosmetic Dentistry in Davidson was launched in 2015 to provide the residents of Davidson, Huntersville, Lake Norman, and Cornelius with the highest standard of personalized dental care. Our friendly team offers a comprehensive menu of dental services including cosmetic dentistry, dental implants, dentures, and general dentistry. For more information about fighting cavities in Davidson, call our office at 704-765-9516. We look forward to working with you to break the cavity curse.